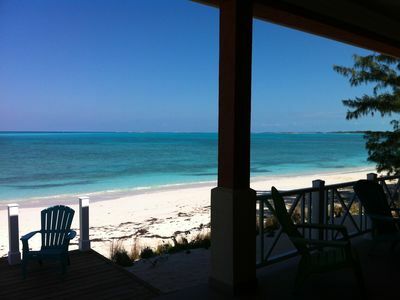 Developed in the 1930s as a private kingdom island paradise by Wallace Groves, an early pioneer in the Bahamas, the ninety three acre Little Whale Cay hosts its guests in three secluded sea-view houses: Little Whale, Peacock, and Flamingo. 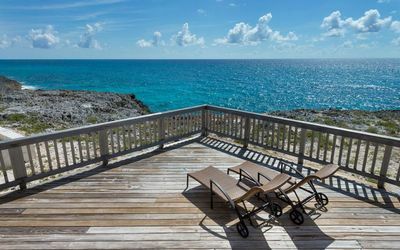 With dashes of thirties' Cuban style, Little Whale House centres on an airy, open-plan living salon which has a pitched pine roof, bay windows, bar and dining area and leads to a kitchen and an ensuite double bedroom. 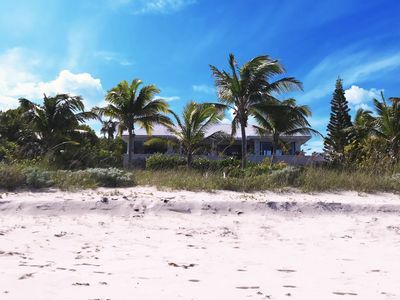 Decor is light and relaxed, with wooden floors, pickled pine furnishings, cool white fabrics and comfy sofas, characterised by some lovely period details: original tiles, mosaics, antique lamps and bathroom fittings; true in spirit, easy as finding conch shells on the shore. 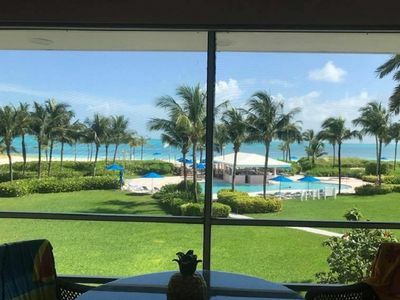 A courtyard garden with covered BBQ and dining leads to a parasol-shaded breakfast patio, where the sea glints through the palms and the coral stone stairway curves down to your private white sand beach and oceanfront bar. 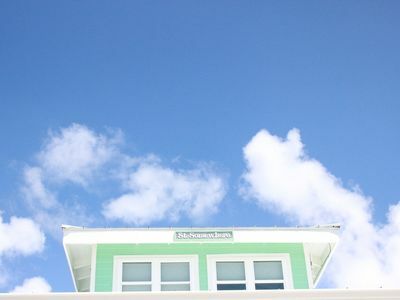 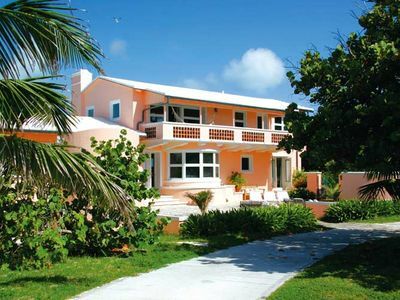 The pretty, sunny, red-tiled Flamingo House has four bedrooms, a sitting and dining room, kitchen and sea-view terrace. 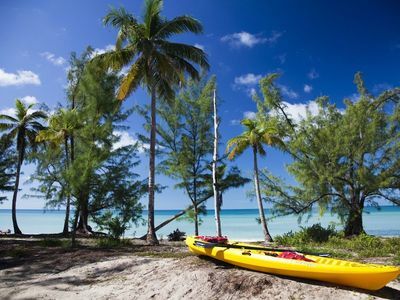 It nestles in undulating lawns of coconut palms, banyan, citrus and tamarind trees, where peacocks sleep in the shade, close by the duck and flamingo ponds. 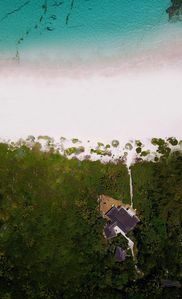 A simple, white and pastel-painted heart-stealer, Peacock House has one king-size en suite double bedroom, a sitting room, kitchen, and hammock-strung veranda, its white wooden decor off set with pink, lilac and sky blue. 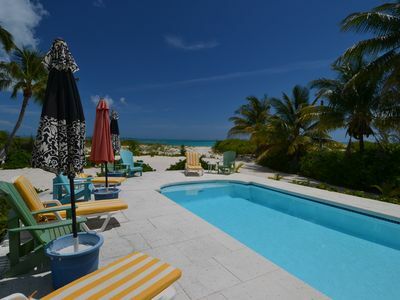 Peacock is set on a grassy rise on the island's south coast, steps from the swimming pool with views over Chubb and Bird Cay. 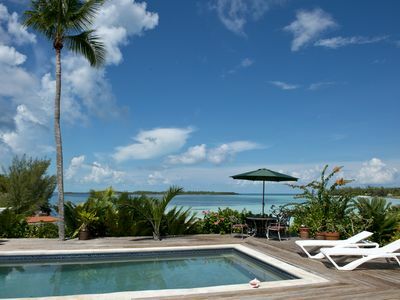 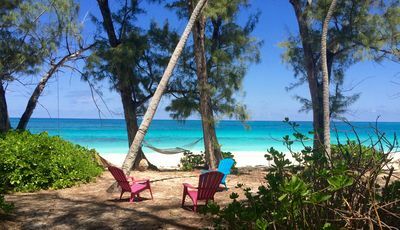 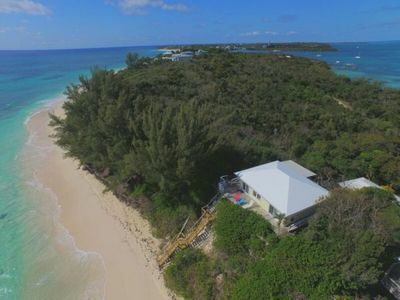 Wherever you wander on Little Whale Cay you discover places to enjoy: small sandy beaches, flowering seaside and garden arbours, a glade of trees enclosing a candlelit dining table, a spit of land curling away to Lighthouse Point, where guests gather for sundowners and raise the island's flag. 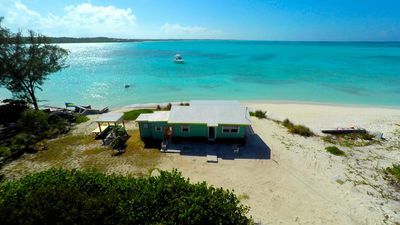 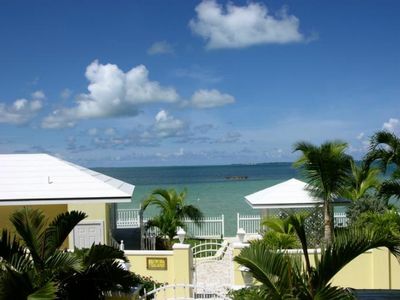 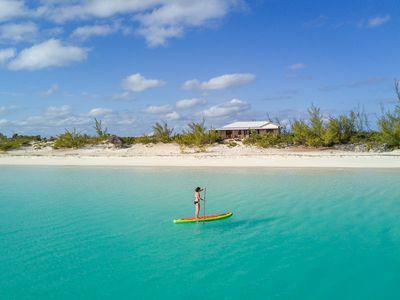 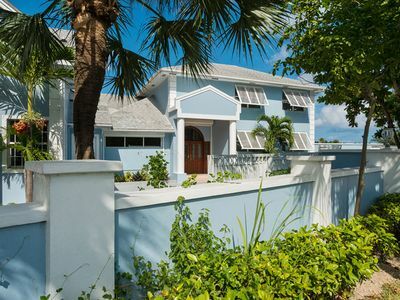 Little Whale Cay even has its own 'downtown' - an enclave of pretty pastel house for the island's twelve staff, with a village store, harbour, and small church of native coral stone called 'Stella Maris', where the Cay's owners married, now available for guests' weddings. 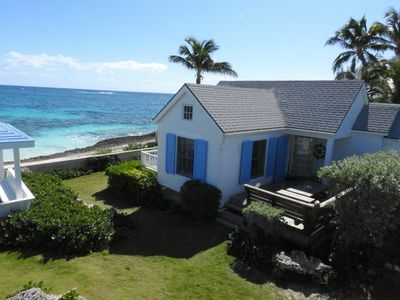 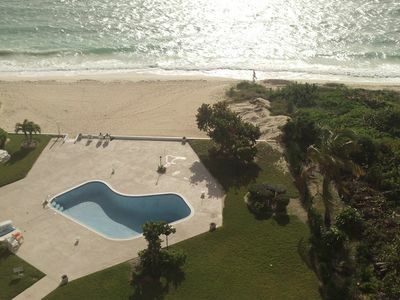 Charming beachfront home: Spectacular views, sprawling deck, central location! 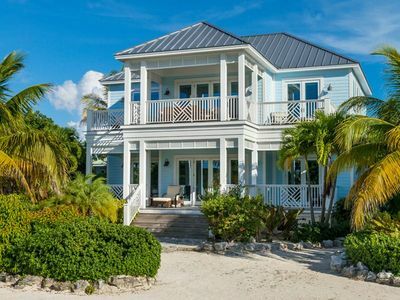 Charming waterfront cottage is directly on the water! 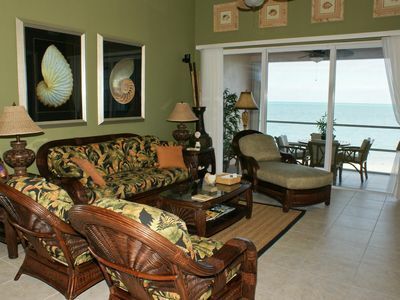 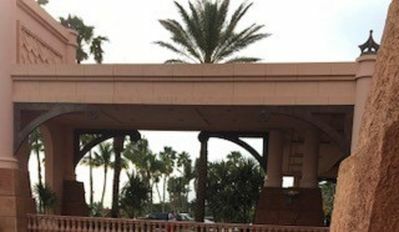 Beachfront, Beautiful & Comfy - 7th Night FREE!